Expanding its palliative care, The Hospice Of Windsor & Essex County is using technology to assist youth. At a ceremony on Thursday, June 16, three community-minded organizations celebrated the arrival of seven laptops at The Hospice. Given by Computers For Kids and paid for through a Windsor Essex Community Foundation grant, the MacBook Pro and six Gateway dual core laptops will be used for support programs like music therapy. Taking place during Guitars For Teens, the ceremony was held in the auditorium at The Hospice’s wellness centre. Paul Beresford, a regular volunteer for the organization, played at the event and provided entertainment for those attending. 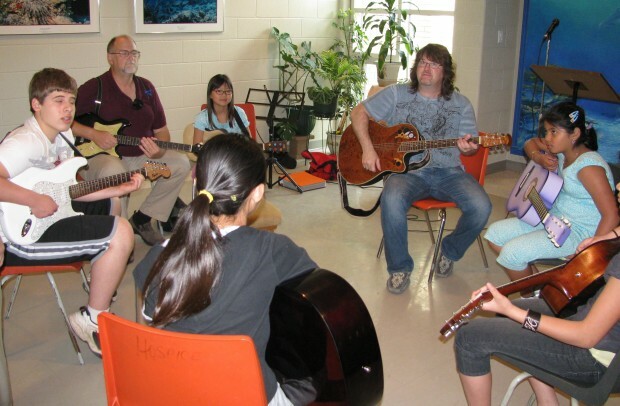 He’s also taught teens how to play guitar occasionally and helped the organization with many fundraisers. Experts in palliative care believe that computers can improve the quality of life for children suffering from life-threatening illnesses. Laptops received by The Hospice will also be used by children and their families to communicate with relatives, provide entertainment and do research. Windsor Essex Community Foundation was created to inspire community-wide philanthropy – doing so with grants from the legacy funds of like-minded philanthropists. 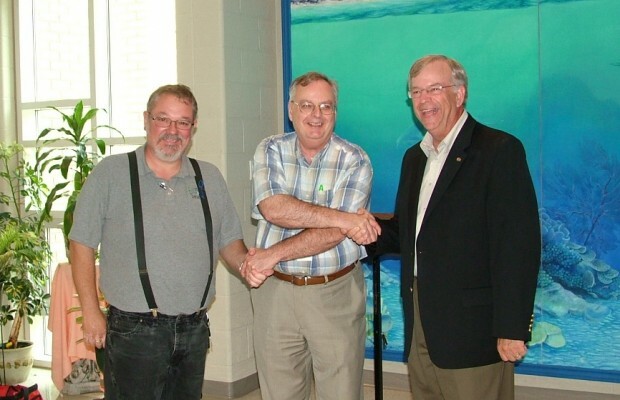 Computers For Kids generally relies on computer donations – realizing the importance of the venture, PC Outfitters provided the six Gateway laptops at a reduced price, while Q-D Mac Solutions (6-5400 Tecumseh Rd. E)did the same for the MacBook Pro. Those interested in donating computer equipment to Computers For Kids, which also recycles TVs and electronics, can do so at their 4150 Sandwhich St. location. Business hours are 9 a.m. to 6 p.m. from Monday-Friday and 9 a.m. to 3 p.m. on Saturdays. Anyone looking for more information on The Hospice’s services and programs can visit their website.